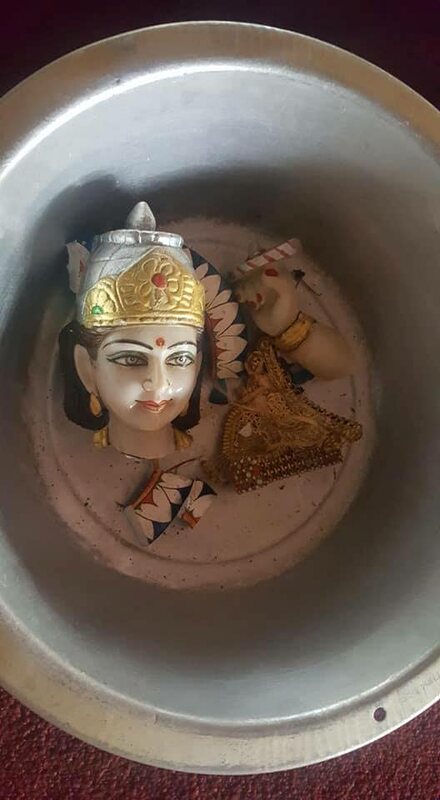 THE Lower Mc Bean Hindu Mandir in Couva was broken into by criminals who destroyed a murti (holy statues) during the early morning hours last Friday. The vandals broke the murti Durga Devi while pulling out jewellery and saris. 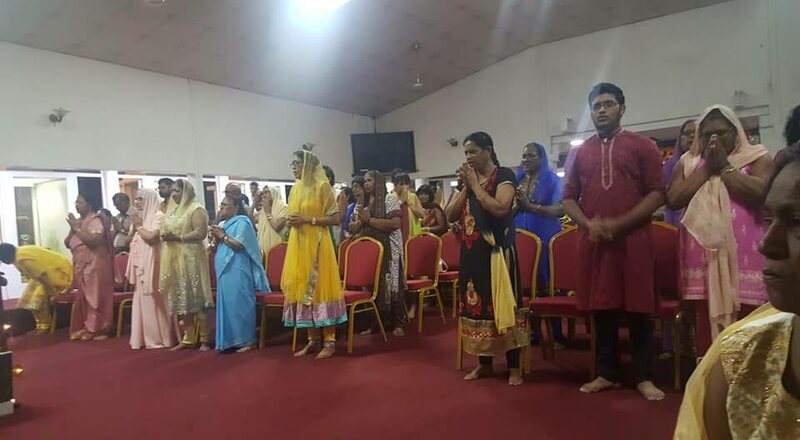 According to reports, devotees spent Thursday night praying and then locked the mandir after service ended. When they returned on Friday, the locks were broken and the mandir ransacked. Spiritual leader of the mandir, Dr Rampersad Parasram, a former chief medical officer was left disgusted by the sacrilege. “High crime rates in the country is one thing but desecration of places of worship is just not acceptable,” Dr Parasram said. People, he added, ought to respect the sanctity of the various places of worship such as the mandirs, churches and mosques. Dr Parasram told Newsday he was in the mandir until midnight on Thursday with devotees sitting and discussing the Vedas (Holy texts). “The mandir was therefore vandalised, in the peace and quietness of the night on Friday morning,” he said. As citizens of this country, we look after our homes and mandirs as best as we can, but the truth is evil minds and wicked hands can do anything, he said. Mandir devotee Kavita Jadubancy said it is becoming increasingly difficult to express one’s faith without humiliation and hate. “Violence has drenched this land with blood, destroying lives and sending people into despair,” Jadubancy said. She urged fellow worshippers to continue to worship despite these acts of vandalism and desecration. Police are yet to solve cases where other places of worship have been broken into. On June 11, burglars broke into the Hare Krishna temple and stole $10,000 from a safe. On June 5, thieves broke into the Las Lomas Temple and stole money and a sound system. On May 20, armed intruders entered the Lakshmi Narayan Mandir in Freeport and robbed the spiritual leader Pundit Gajendra Kumar and his family of cash and jewelry worth $100,000. Last December, Father Clyde Harvey was robbed by armed men at St Martin’s RC Church in Gonzales, Belmont.